Just days after the October 17-Peronist Loyalty Day celebrations, thousands marched on Luján to protest the Mauricio Macri government's austerity measures. Union leaders, lawmakers and Peronist mayors from across Buenos Aires province were among the faces seen at Saturday's "Peace, Bread and Work" march in Luján, where comments by union leaders linking Pope Francis to their cause forced the local archbishop to publicly deny that the pontiff had any involvement in the organisation of the event. "Given recent commentary, I wish to clarify that Pope Francis has not had any involvement. 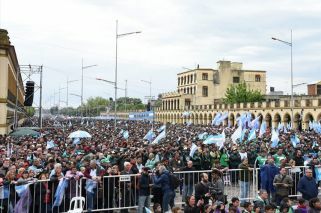 The decision to hold the Mass in Luján was absolutely mine," Luján's Archbishop Agustín Radrizzani clarified on Monday. Radrizzani's comments came after Teamsters' union leader Pablo Moyano told reporters: "It could not have happened without his permission", in reference to Argentine-born Pope Francis. "We have a good relationship with Pope Francis, without any doubt we could not have carried out this march on Luján's Cathedral without his permission", Moyano told Radio Cooperative. "The Pope is concerned about the disgrace we have for an economic model [in Argentina], which is making more people poor and unemployed through inflation", he added. 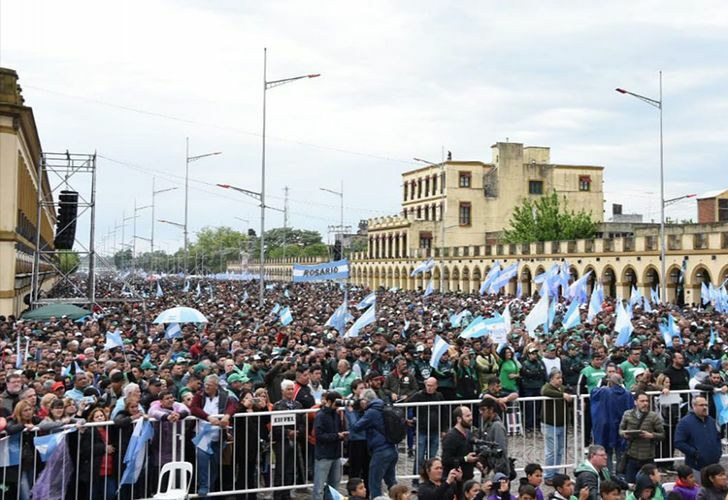 Given the clear Peronist tone of the event, Archbishop Radrizzani was forced to clarify his mass was "aimed at favoring a climate of dialogue which will help us overcome the difficulties many Argentines are facing. I never had any intention to support a party of ideology, nor any person in particular".